An interesting read from Wired.com on Second Life and Corporate America. How companies are spending millions and yet no one comes. What's behind this stampede is not that hard to divine. "A terror has gripped corporate America," says Joseph Plummer, chief research officer at the Advertising Research Foundation, an industry think tank. Plummer has been around Madison Avenue since the early '60s, when modern advertising techniques materialized. "The simple model they all grew up with" — the 30-second spot, delivered through the mass reach of television — "is no longer working. And there are two types of people out there: a small group that's experimenting thoughtfully, and a large group that's trying the next thing to come through the door." Second Life appeals to the latter — the ones who are afraid of missing out, who don't consider half a million dollars to be a lot of money, and who haven't figured out (or don't want to admit) that Second Life is less than the bold new frontier it appears to be. 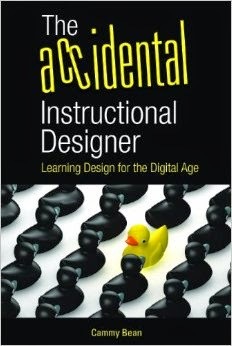 Well, I do know that some educators are experimenting thoughtfully with Second Life (Karl Kapp, for one). And I also know that there's a lot of hype and a lot of people who haven't bought into the whole notion of even having a second life. I have an account and an avatar named Bliss Yue. I read about SL a lot. (I think my secondlife category in deli.ci.ous has more articles than any other category). I have never actually gone into SL (my laptop doesn't have the right video card). But it's on my to-do list for this week (as it has been on my to do list for the last month). What about you? Do you have a Second Life? How often do you access your account? What have you done? Let me know one day when you are thinking about SL and I can show you the island we built for our class...very utilitarian and not pretty like some campuses but...students build on the campus, create unique items and learn about the 3D world. Nobody's interested. It's as sad as trying to live or "teach" (lecturers love to pretend a glorified game is a teaching experience so that they can be one more step removed from actually teaching classes and students) inside World of Warcraft. I give the whole thing another 18 months. Then everyone will either be onto their Third Life or realizing they've been using it as a substitute for doing anything useful with their First Life.